The Canadian dollar fell to a seven-week low after the Federal Reserve maintained its $85 billion in monthly bond purchases while leaving open the possibility for future reductions by saying economic growth persists. The currency weakened versus most of its 16 major peers as the U.S. central bank removed a sentence from the previous policy announcement that had said tighter financial conditions could slow the improvement in the economy, Canada’s largest export market. Canada’s dollar posted its biggest weekly drop against the greenback in four months last week after the Bank of Canada lowered economic growth estimates and removed language about the need for higher interest rates it had kept in every policy statement for more than a year. The loonie, as the currency is known for the image of the aquatic bird on the C$1 coin, fell 0.1 percent to C$1.0479 per U.S. dollar at 5 p.m. in Toronto. It rose as much as 0.3 percent before falling C$1.0497, the weakest level since Sept. 6. One loonie buys 95.43 U.S. cents. The market has been running a bit short-dollar ahead of the meeting, and there was nothing obviously more dovish than expected, so we’re seeing a bit of a squeeze up in dollar-CAD,” Shaun Osborne, chief currency strategist at Toronto-Dominion Bank’s TD Securities unit in Toronto, said by phone. “With the Fed out of the way now, we may see more U.S. dollar strength coming through.” A short position is a bet that an asset will decline in value. The Canadian currency is down 1.6 percent this month and off 5.3 this year versus the greenback, according to data compiled by Bloomberg. Against its 16 most-traded counterparts, the loonie lost the most this month against Norway’s krone and gained the most this year versus the South African rand. Canada’s benchmark 10-year government bonds fell, pushing the yield up two basis points, or 0.02 percentage point, to 2.42 percent, after touching the lowest level since July 22. The 1.5 percent security maturing in June 2023 lost 13 cents to C$92.16. The Bank of Canada will provide details tomorrow about a five-year note auction scheduled for Nov. 6. Implied volatility for one-month options on Canada’s dollar versus its U.S. counterpart fell to 5.6 percent from this year’s high of 9.4 percent in June. The measure is used to set option prices and gauge the expected pace of currency swings. The average for this year is 6.6 percent. 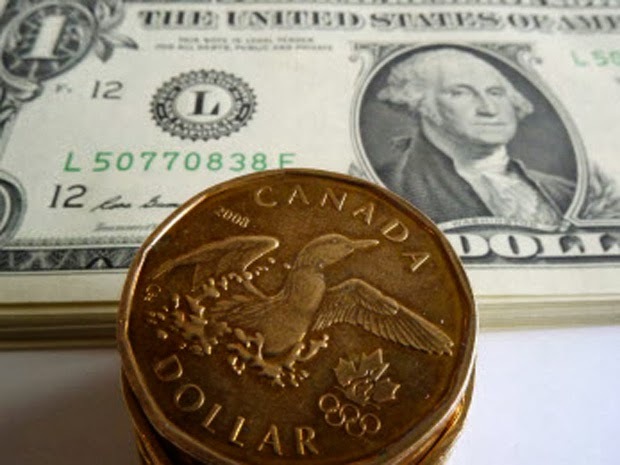 Trading in over-the-counter foreign-exchange options on the U.S.-Canada dollar exchange rate amounted to $1.4 billion or about 4 percent of trades, according to data reported by U.S. banks to the Depository Trust Clearing Corp. and tracked by Bloomberg. Yesterday, U.S.-Canada dollar trades were $9.7 billion, or 20 percent of volume. A report tomorrow is projected to show economic growth in Canada slowed in August to 0.1 percent from 0.6 percent the previous month, according to the median estimate of a Bloomberg survey of 18 economists. The Canadian dollar has posted the second biggest drop the past six months among nine developed nation currencies tracked by the Bloomberg Correlation Weighted Index. The loonie has fallen 3.9 percent, compared with the Australian dollar’s 9.1 percent loss. The U.S. dollar has increased 0.4 percent. I trade with Greenvault FX, the abundant information provided by them helps me win. This post provides clear idea for the new visitors of blogging, that really how to do running a blog.